Every year we have a conference hike, and at this point it’s a fantastic tradition. We’ll be doing the same hike again this year, because it’s the best one easily accessible from downtown Portland. Date & Time: Leaves promptly at Saturday, May 18, 2 PM. Meet at 1:45. Duration: The hike normally takes around 3 hours. Along with transportation back to Portland, allow for up to 4 hours total, returning at 6pm. Start: Lower Macleay Park or Macleay Park Entrance. There is a pavilion at the park entrance where we will gather. End: Oregon Zoo – There is a MAX stop here to take us back downtown. The hike is for conference attendees only. We only have a limited number of spaces, so please don’t bring non-attendees along. We will be hiking in the amazing Forest Park, the largest urban forested park in the country. It is conveniently located in Northwest Portland, not far from the conference venue. It’s about a 35 minute walk from the venue to the park, or you can take transit to make it a bit quicker. The hike does not end where it starts. Take this into consideration when you plan. There is an out-and-back option if you choose to just go to Pittock Mansion, then return back down. Comfortable shoes, that you are comfortable getting a bit muddy. 1 Liter of water. There is water available halfway through the hike. A light rain jacket. It won’t be cold, but it might drizzle on you. The hike will be around 5 miles long, and have 1000 feet of elevation gain. This classifies as a moderate hike. We’ll be going nice and slow so people can appreciate the views and forest. 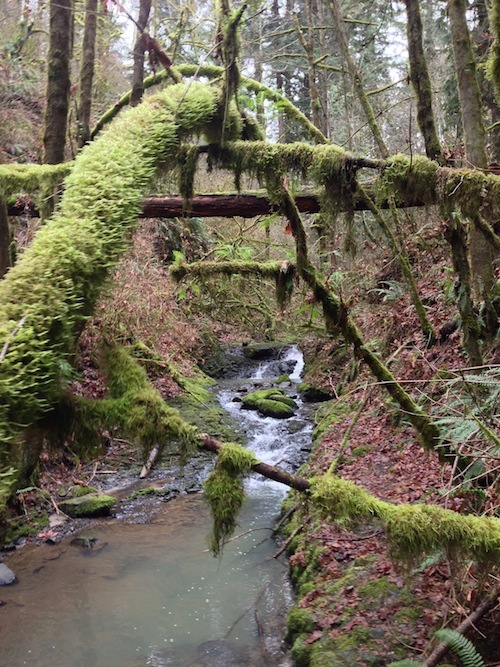 The hike will follow Balch Creek up from the entrance of Forest Park. Then we will switchback through beautiful forest until we get to Pittock Mansion. 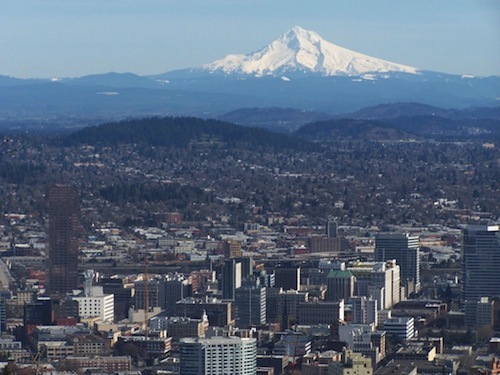 Pittock affords one of the best views of the city, and hopefully Mt. Hood & Mt. St. Helens if it’s clear! After this we will descend into Washington Park, and the beautiful Hoyt Arboretum. There are a number of paths through Hoyt, and we can play that by ear. More than 5,800 specimens from around the world grow here, including more than 1,100 species, which are valuable in reforesting damaged habitats. On the other side of Hoyt is the Oregon Zoo, where we can take the MAX back to downtown. People who wish to stay around in the park or zoo are more than welcome.